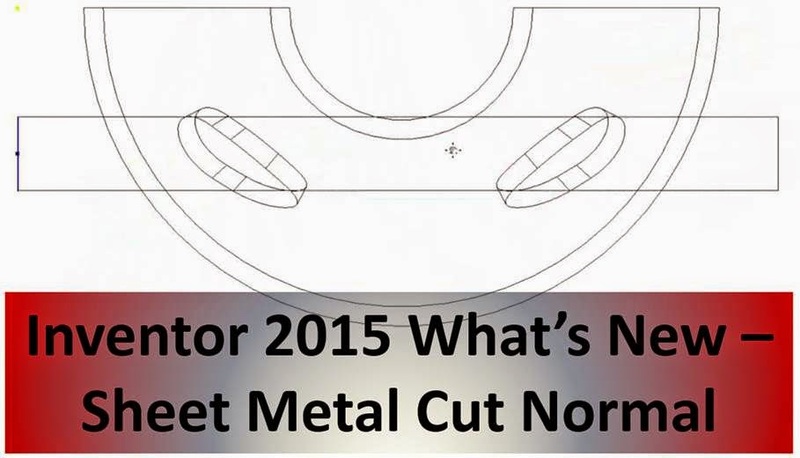 Continuing our little mini-series on some of the features added in Inventor 2015 – a welcome sheet metal addition. If you’ve ever created an angled cut using the ‘Cut’ tool in sheet metal, you’ll be familiar with the dreaded ‘double lines’ on the flat pattern output. Previous to Inventor 2015 some more advanced skills were required to avoid this (using the split and thicken tool for instance), but do not fear – these days it’s a simple check box in the cut tool itself. One thing to be aware of – at the time of writing Inventor 2015 Service Pack 1 is fresh off the press, and it actually contains a couple of fixes for ‘Cut Normal’ for the kinds of geometry shown in the video below. So make sure you install this if you’re wanting to use the ‘Cut Normal’ tool on more complex geometry.